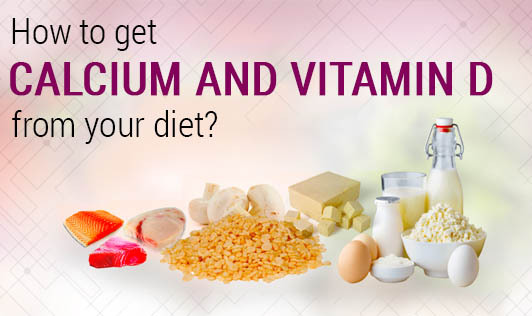 How to get Calcium and Vitamin D from your diet? Calcium and Vitamin D are among the important nutrients that our body needs. But, are we getting enough of them? And did you know that it is best to get calcium and vitamin D from our daily diet rather than from supplements? Our body absorbs these nutrients better from the food when compared to supplements. Let us take a look at a few foods that are rich in calcium and vitamin D and that can be included in our daily menu. Foods fortified with vitamin D like some dairy products. Talk to your nutritionist about how to get these foods in your diet.